The motherboard is designed to make the best out of 9th Generation Intel® Core™ Processors, the sturdy VRM design provides extreme overclocking potential, lower temperature during gaming and reinforced system stability for taking on all sorts of arduous computing tasks. Featuring sturdy components and completely smooth power delivery to the CPU. Plus, it offers unmatched overclocking capabilities and enhanced performance with the lowest temperature for advanced gamers as well. In addition to the built-in RGB illumination, it also features onboard RGB headers and an addressable RGB header that allow motherboard to be connected to compatible LED devices such as strip, CPU fans, coolers, chassis and so on. Users may also synchronize RGB LED devices across the Polychrome RGB Sync-certified accessories to create their own unique lighting effects. *The addressable RGB LED header supports WS2812B addressable RGB LED strip (5V/Data/GND), with a maximum power rating of 3A (5V), a max of 80 LEDs and length within 2 meters. *The RGB LED header supports standard 5050 RGB LED strip (12V/G/R/B), with a maximum power rating of 3A (12V) and length within 2 meters. An additional external base clock generator which provides a wider range of frequencies and more precise clock waveforms. Users are able to connect two LAN cables to this motherboard's rear I/O. 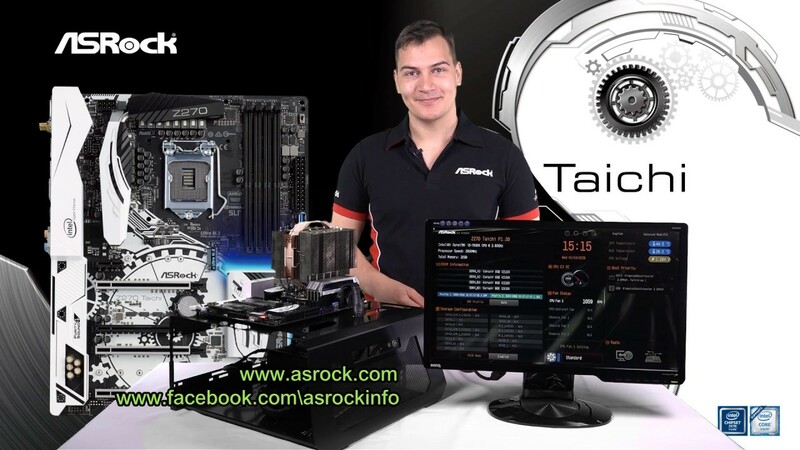 Dual LAN with Teaming function enabled on this motherboard allows two single connections to act as one single connection for twice the transmission bandwidth, making data transmission more effective. * Teaming is supported on Windows® 10 RS2 and above. A massive full coverage M.2 heatsink that is able to dissipate heat efficiently to ensure your high speed M.2 SSD always working at its best. The advanced PCI-E Steel Slot packed with solid cover that prevent any signal interference with graphics cards. It also ensures the heavy graphics cards to be well-installed in the PCI-E slot safely. Triple of the world’s fastest PCIe Gen3 x4 Ultra M.2 slots that deliver up to 32Gb/s transfer speed, it also supports SATA3 6Gb/s M.2 modules. *Performance result may vary with a different configuration. 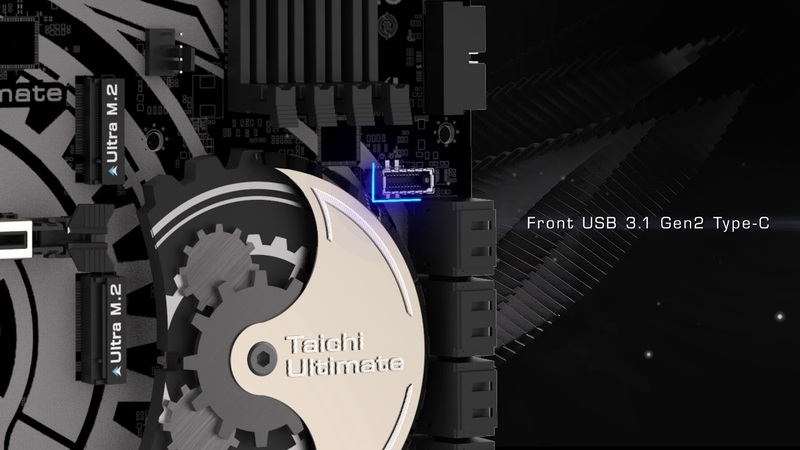 Front USB 3.1 Gen2 Type-C header delivers up to 10 Gbps data transfer rate and next generation reversible USB design to the front panel of computer case. 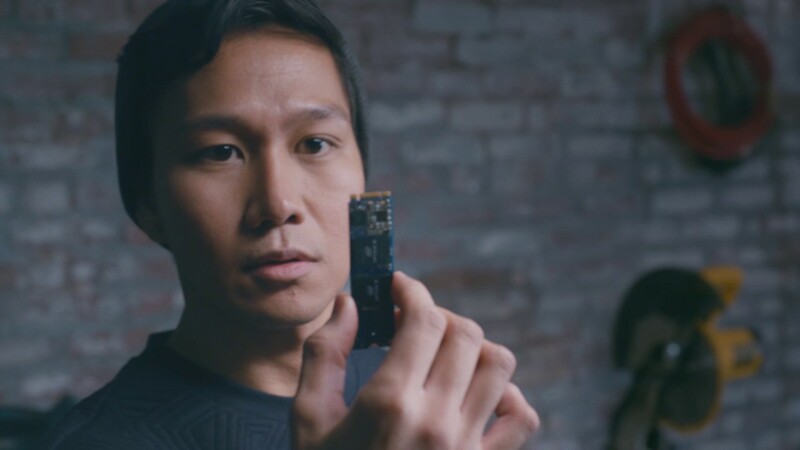 Supports Intel® Optane™ memory technology and Intel® Optane™ storage technology that redefines a new standard of high performance and responsiveness. A new designed protective cover for all of the crucial parts near the motherboard's rear I/O, so that they won't easily be damaged by static electricity. A new mysterious matte black and copper color scheme to match the prestigious components on ASRock's high-end motherboards. *Teaming is supported on Windows® 10 RS2 and above. **NVIDIA® NVLink™ Bridge does not come with the package. Please purchase it from NVIDIA® if necessary. *M2_1, SATA3_0 and SATA3_1 share lanes. If either one of them is in use, the others will be disabled. If M2_2 is occupied by a SATA-type M.2 device, SATA3_3 will be disabled. M2_3, SATA3_4 and SATA3_5 share lanes. If either one of them is in use, the others will be disabled. ***The CPU Fan Connector supports the CPU fan of maximum 1A (12W) fan power. ****The CPU/Water Pump Fan supports the water cooler fan of maximum 2A (24W) fan power. *****The Chassis/Water Pump Fan supports the water cooler fan of maximum 2A (24W) fan power. CPU_FAN2/WP, CHA_FAN1~6/WP can auto detect if 3-pin or 4-pin fan is in use.